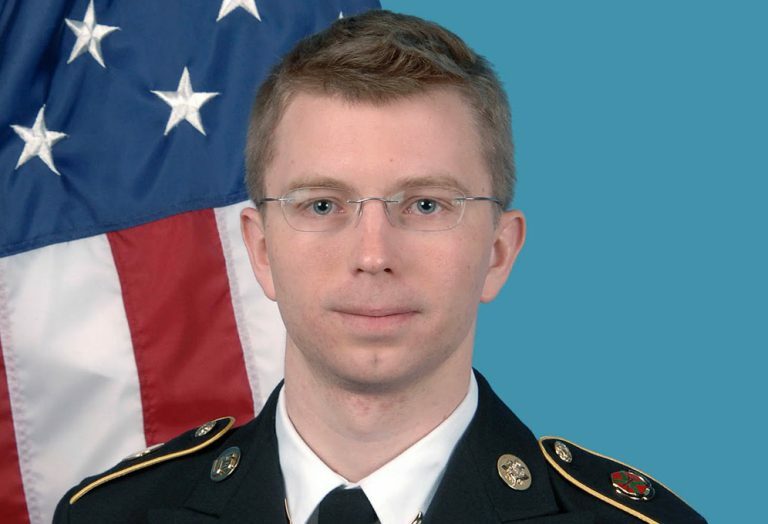 On July 30, 25-year-old WikiLeaks whistleblower Bradley Manning was found guilty of most of the almost two dozen charges filed against him by U.S. military prosecutors. The most serious charge against him — aiding the enemy — was dismissed, but Manning still faces up to 90 years in prison on counts that include espionage (despite the lack of evidence for intent to spy and the lack of evidence that his leaking ever did any real harm). 1. Manning revealed the Collateral Murder video of a helicopter attack in Iraq on mostly unarmed noncombatants (though some of those struck may have been armed), including two Reuters journalists — whose cameras were taken for weapons — and children. The army maintains that the video does not show wrongdoing, but the killing of unarmed journalists is a war crime, and the callousness of the soldiers talking in the video gives an idea of what was going on in Iraq during the years of the U.S. occupation. When the Bush administration asked the Iraqi parliament for permission to keep a base in the country, the parliamentarians refused. The U.S. military was forced to withdraw from Iraq by the end of 2011. 2. Manning exposed the full extent of the corruption of Tunisian dictator Zine El Abidine Ben Ali, adding fuel to the youth protest movement of late 2010, which translated the relevant U.S. cables into Arabic. Manning contributed to the outbreak of powerful youth movements demanding more democratic governance in the Arab world. 3. Manning revealed to the U.S. and Yemeni publics the secret drone war that Washington was waging in that country. That the cables show then-dictator Ali Abdullah Saleh acquiescing to the U.S. strikes on his country probably played into the movement to remove him as president, which succeeded in early 2012. 4. He revealed that then-Secretary of State Hillary Clinton ordered U.S. diplomats to spy on their United Nations counterparts. The U.N. spy requests included cables that demanded intelligence on U.N. leadership, foreshadowing later revelations of extensive U.S. spying on allies like Germany via the NSA. 5. His leaks showed that then-Senator John Kerry pressed Israel to be open to returning the Golan Heights to Syria as part of a peace negotiation. This item suggests that Kerry might be more of an honest broker in the current negotiations than some observers give him credit for. 6. Manning exposed overwhelming corruption in the Afghan government. This degree of corruption, which has shaken the whole banking system and caused U.S. funds to be massively misused, is still a factor in deciding whether to stay in Afghanistan in some capacity after December 2014. The U.S. public is in a better position to judge the issue with these documents available. 7. Manning showed the degree of authoritarianism and corruption of the Egyptian government of Hosni Mubarak, which was subsequently swept away. 8. Manning revealed that hard-nosed realist and former Secretary of Defense Robert Gates was against striking Iran’s nuclear enrichment facilities because it would slow their program down only slightly, but would inevitably cause Iranians to be angry and mobilized in the aftermath. 10. Manning’s act of courage encouraged hackers to leak the emails of Bashar al-Assad and his wife, showing their jewelry purchases in Europe and gilded lifestyle while al-Assad’s artillery was pounding Homs and other cities with no regard for the lives of noncombatants. In fact, Manning inspired numerous leakers, including some who blew the whistle on PLO corruption and willingness to give away most of Jerusalem to Israel, and, likely, Edward Snowden, who revealed to us that our government has us all under surveillance. Juan Cole is a professor of history at the University of Michigan. An earlier version of this article was published on the author’s blog, Informed Comment, at JuanCole.com. With Bradley Manning facing up to 90 years in prison, thousands of his supporters from around the world are asking to be able to serve part of his sentence. As The Indypendent went to press, more than 3,900 people had signed an online petition at Credoaction.com urging the U.S. Army general who oversaw Manning’s military trial to allow them to do some of Manning’s hard time. Manning is waiting to be sentenced by a military judge for his role in providing hundreds of thousands of documents to the WikiLeaks.org website.